Add 1/4 cup of frosting to the cake mixture. 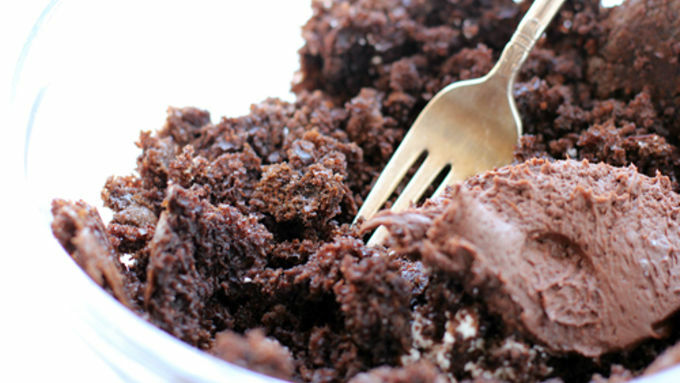 Use a fork to work the frosting through. Continue adding frosting by the tablespoonful, JUST until the cake mixture starts to stick together. It shouldn’t feel wet at all, but should adhere to itself in a playdoh-like texture. 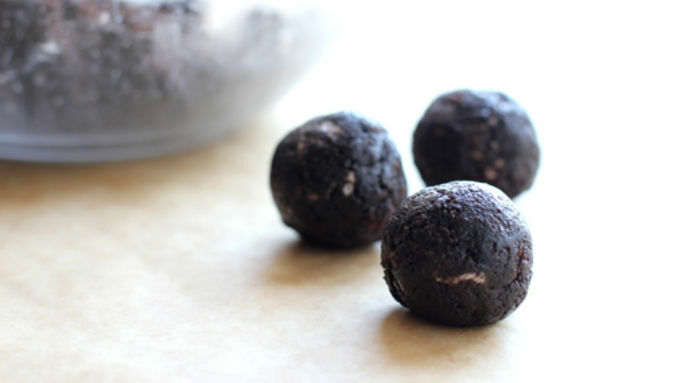 Roll tablespoon-fulls of cake into cake balls. In a small, deep, microwave-safe bowl, heat the chocolate chips JUST until they are melted (usually about 90 seconds or so). Stir until smooth. Press the end of a sucker stick into the melted chocolate, then press that end into the center of your cake ball. 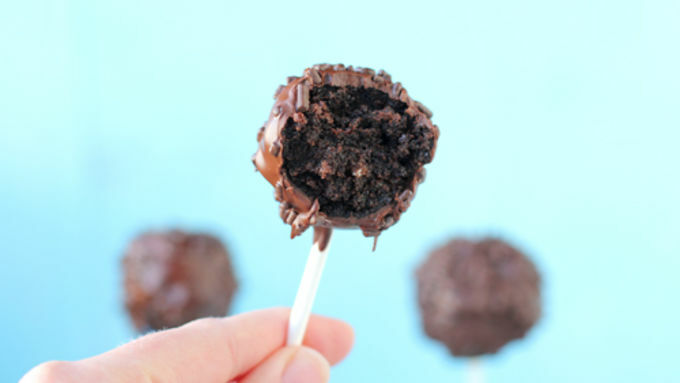 Take a small spoonful of melted chocolate and carefully smooth it around the bottom part of the stick and cake ball. Allow the chocolate to harden completely. 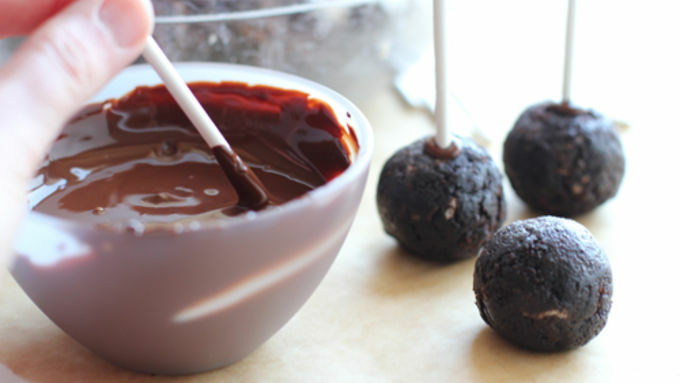 Gently dip the cake ball into the melted chocolate. Allow any excess chocolate to drizzle back into the bowl before pressing the top of the cake pop into crushed peanuts or chocolate sprinkles. Turn the cake pop right side up and press the bottom of the sucker stick into a piece of styrofoam. Allow the cake pops to cool upright until ready to serve. 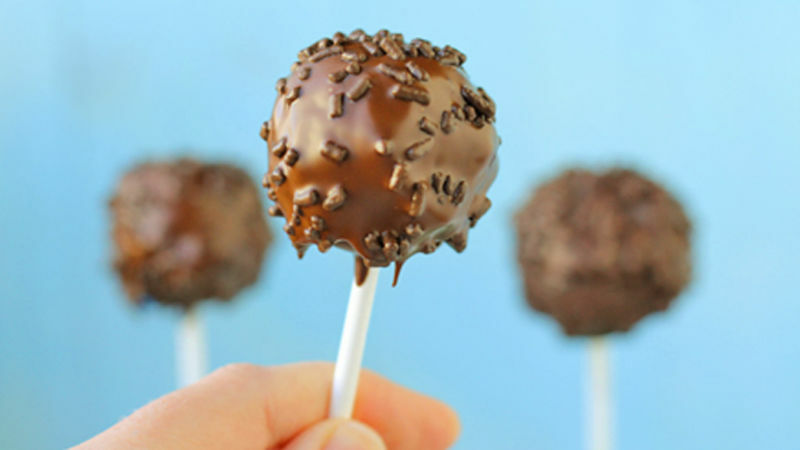 Once chocolate is hardened, serve the cake pops, or cover them and store them in the fridge for up to three days. Enjoy! Cake pops have been all the rage ever since they burst onto the scene a few years back. Pay a pretty penny for them or -- better yet -- make them yourself! Pretty mounds of cake and frosting on a stick? What’s not to love?! Well, for one thing … cake pops can be a rather finicky recipe. They can be gloppy. They can be bloppy. They can plop into your bowl of melted chocolate and be ruined forever. 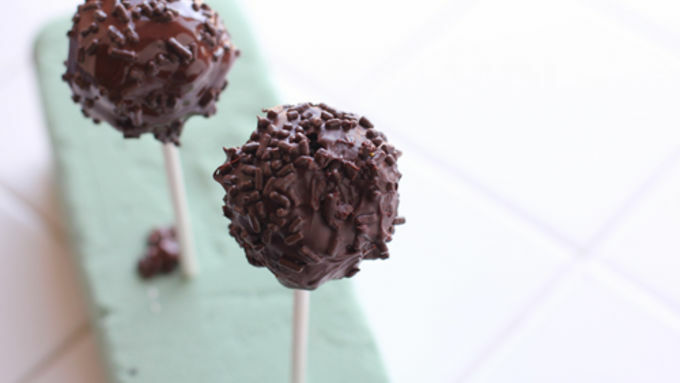 To keep you from making any of these rookie mistakes, here’s how to pull together a fancy batch of chocolate cake pops in no time at all. Store your cake pops in the fridge for up to three days. Serve to kids of all ages, and enjoy entirely! YUM!